Arms—Or a lion rampant Sable between two otters’ heads erased in chief proper and a cinquefoil in base of the second all within the Royal tressure of the last. 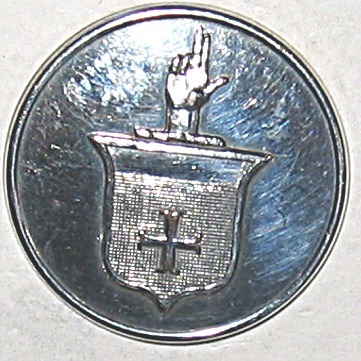 Crest–An armed dexter hand holding a cap of dignity purpure facing ermine. Supporters-Dexter, a falcon wings elevated and addorsed proper belled beaked and charged on the breast with two branches of laurel conjoined Or; Sinister a gryphon Sable charged in like manner with two branches of laurel. 1st Baronet: The Rt Hon Sir Andrew Buchanan GCB (1807-1882). Created Baronet in 1878. He married firstly 4 April 1839, Frances Katharine Mellish (she died in 1857). He married secondly 27 May 1857, Hon. Georgina Elizabeth Stuart (d. 21 March 1904), daughter of 11th Lord Blantyre. 4th son: Rt Hon Sir George William (Rt Hon Sir), P.C. (1910), G.C.B. (1915), G.C.M.G. (1913), G.C.V.O. (1909), (b.1854 d.1924) Maried Lady Georgina Meriel Bathurst, daughter of the 6th Earl Bathurst . Sir George, as a Grand Cross, would have been entitled to suppporters. However, I am puzzled by the small escutcheon in the dexter chief. I took that to be the insignia of a baronet. An error by the button maker perhaps? The sale of 2,000 plus livery buttons over the next 12 months has started on eBay. The buttons are from the J R Gaunt & Son Ltd pattern book archives circa 1820-1920. 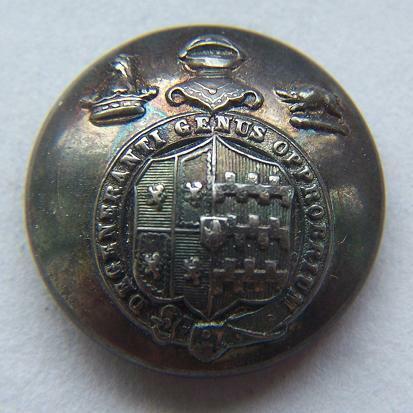 The buttons have been in the possession of the Royal Military Museum at Sandhurst from the 1950″s and the National Army Museum since 1960. Arms: Argent on a fess between three crescents Sable a garb Or banded Gules. Crest: An ear of wheat proper. 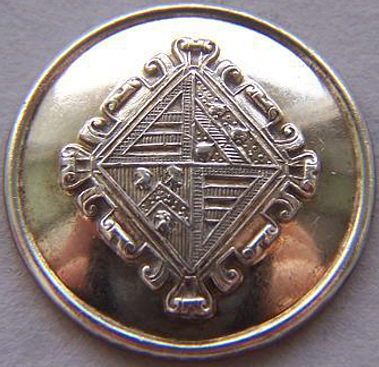 Livery button of Mary Esther Sibthorpe? My educated guess is that the button may have belonged to Mary Esther Sibthorp. She was the daughter of Humphrey Sibthorp and Susannah Ellison. 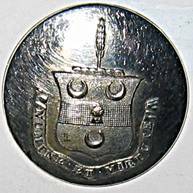 My thanks to Arthur Radburn over at the Heraldry Society of Scotland’s forum who tracked down the Ellison blazon. 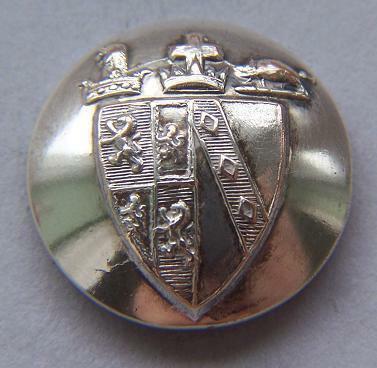 From eBay, another example of heraldry “in action”, the livery button. 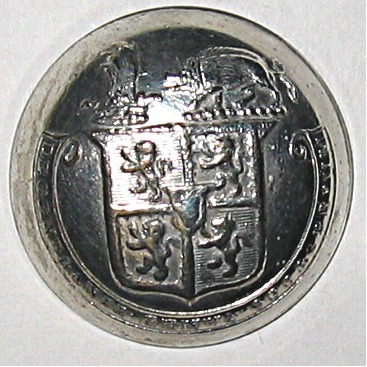 This one displays the Arms of Kerr of Ferniehurst – Gules on a chevron Argent three mullets (Gules), Crest: The sun in splendour.